With three days in Glasgow, you have plenty of time to soak up the city’s atmosphere, see its most famous sights, delve into local culture, and even head out of town and into the surrounding countryside. Here are a few ways to experience the very best of Glasgow in 72 memorable hours. 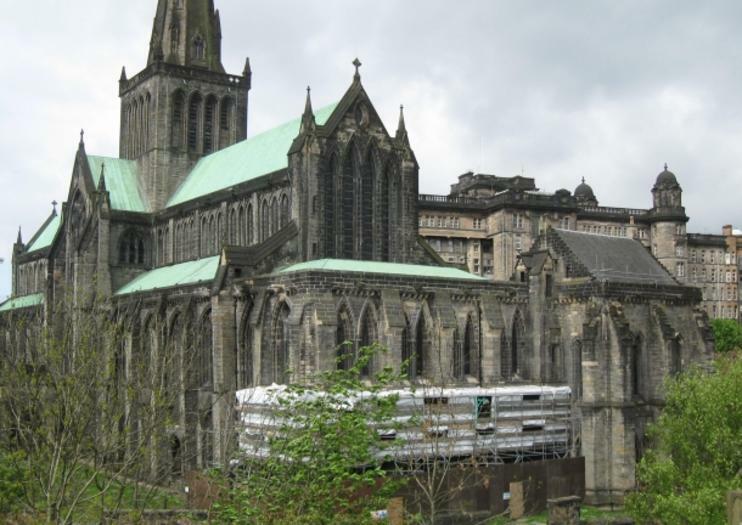 Start your visit to Glasgow by getting your bearings and checking off top attractions such as George Square, Glasgow Cathedral and Necropolis, and the People’s Palace on a guided walking tour or a hop-on hop-off bus tour. Tour Finnieston, Glasgow’s hottest foodie neighborhood, and take your pick from any of the eateries and cocktail bars clustered around “the strip” on Argyle Street, or opt for dinner aboard a 1966 double-decker Routemaster bus that takes you around the city as you dine. Get a taste of football (soccer)—a Glaswegian passion—by visiting Celtic Park, home to the Celtic city club, or Hampden, home stadium of the Scottish national team. Behind-the-scenes tours let you peek into players’ dressing rooms and walk down the tunnel, and provide broad-ranging insights into Scottish football culture. Glasgow is home to some of Scotland’s best whisky bars and pubs, and guided tours take you to some hidden spots missed by most visitors. Sample a variety of single-malt whiskies and learn more about the whisky-making process, Scottish distilleries, Glasgow drinking culture, and whisky’s role in the city’s history. Some tours are focused on the restaurant-filled West End, a great place to head for dinner afterward. Although it makes for a long day, it is possible to explore the Scottish Highlands, Loch Lomond, the haunting valley of Glencoe, Cairngorms National Park, and the famed Loch Ness in a single day trip from Glasgow, learning all about Scotland’s history—and some of its most tragic events—along the way. Another option of interest to “Outlander” fans is a full-day tour from Glasgow focused on the book and television show’s locations. You’ll see such sights as Doune Castle, used as the Mackenzie home Castle Leoch in the TV adaptation; the town of Falkland, which stood in for Inverness in early scenes; and Midhope Castle, which was used for Lallybroch. You’ll be back in Glasgow in time for a last dinner and drinks in the bustling city center. With just one day in Glasgow, a private tour will ensure you check off all the highlights without feeling rushed by a fixed tour itinerary. On this half-day tour, see the People’s Palace, GoMA, and the Necropolis; admire landmarks such as the Glasgow Cathedral, the Duke of Wellington statue, and Mercat Cross; and get a taste of local life as you stroll around George Square, Glasgow Green, and Buchanan street. With limited time to spare, this private 3-hour tour ensures you check off the highlights and maximize your time with a customized itinerary. Admire landmarks such as Glasgow Cathedral, GoMA, and the Duke of Wellington statue; hop out to explore Glasgow Green and George Square; and browse the shops at Merchant City. Go behind-the-scenes of the Celtic Park Stadium in Glasgow, Scotland’s largest football stadium and home of the legendary Celtic Park Football Club. On this 60-minute tour, you’ll get to peek inside the dressing rooms, walk through the player’s tunnel, sit in the dugout, and hear all the secrets and stories of Glasgow’s most popular football team. Orient yourself to Glasgow in a completely unique way. Board a classic 1966 Routemaster bus, and sit back to savor a gourmet, freshly-made burger. With beef, pork, chicken, and vegetarian options available, this experience is inclusive for all. Enjoy a beer or other beverage with your meal as you see the iconic landmarks of this beautiful Scottish city.